I won a couple of products from JC for a photo contest. I chose the products and this one was one of them. I have never used a scrub dedicated to feet as such. I usually use a pumice stone or a body scrub to exfoliate my feet. Exfoliation is an important step in skin care and very important for feet. Eventhough our feet does so much everyday, most of us doesn’t give the care it needs. Simply slathering foot creams won’t help, unless the dead skin is scrubbed away first. Regular exfoliation also helps in controlling skin tan and prevents cracks. Now let’s see if this product met my expectations. Oh my God, the burst of citrusy, lemony fragrance of this one!!! Trust me, not the artificial floor cleaner fragrance but the natural lime leaf fragrance. 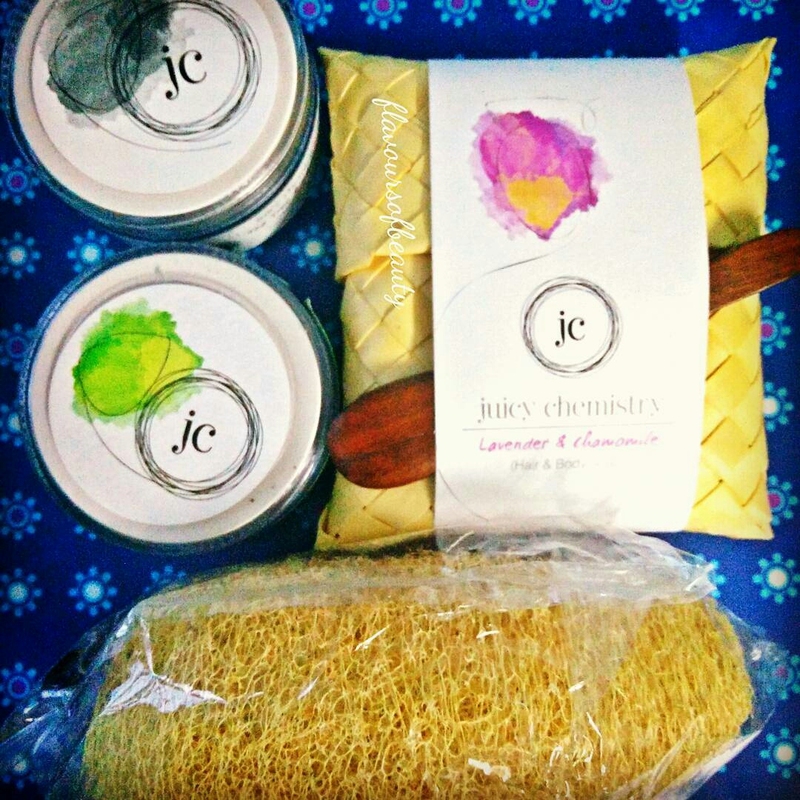 Earlier JC had floored me with the fragrance of choco-vanilla and rose-coconut body butters. After that i was disappointed with the fragrances of rose lip balm, rose sandal face pack and soaps from them. This one just got me wishing they incorporate this fragrance in other products as well. The first time I used this product, I felt that the particles are not scrubby enough for the hard skin of feet. Especially because, the sugar and salt particles used up fast on massaging, unlike other natural exfoliants like shell powders. I did not mix this with water as the particles might get dissolved fast. just wet your feet and massage it with a wee spoon full of the scrub. So for the next use, I soaked my feet in warm water with the Gia peppermint bath salts for a while. Then I took my pumice stone, spread this scrub on it and scrubbed of the dead skin from the feet effectively with the combined action of both. 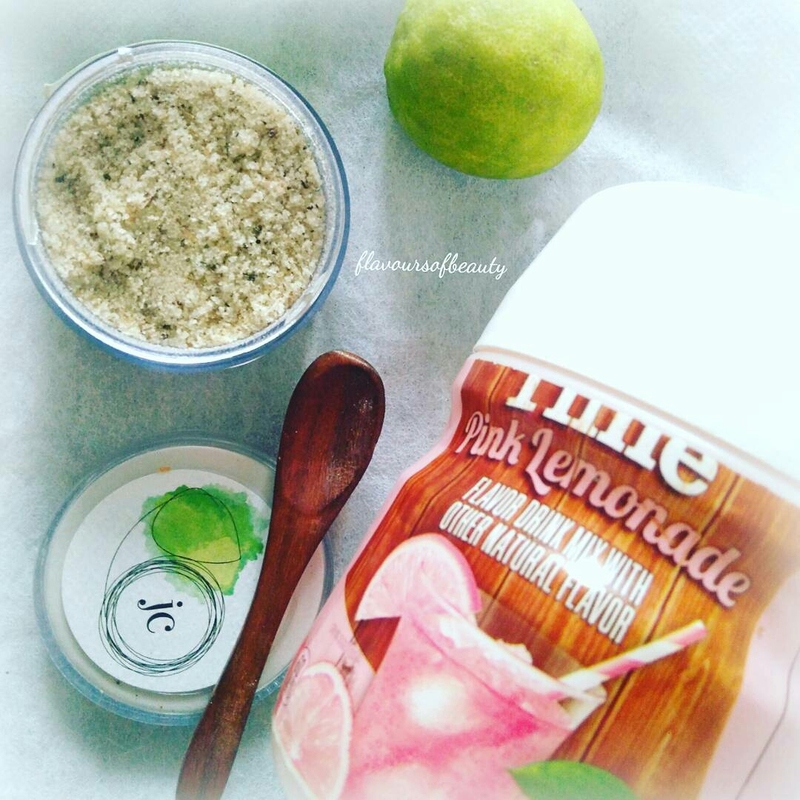 This scrub is really refreshing and loaded with awesome ingredients. It can alone bufff away dry skin, in case the callus is not very hard. If not you will need to file away all the dead skin with a pumice stone or metallic scrubber before buffing the extras with this powder. NOTE TO JC : Please make more and more products with such awesome fragrances.